the angel symbolizes the winery’s philosophy to be a positive force and influence. 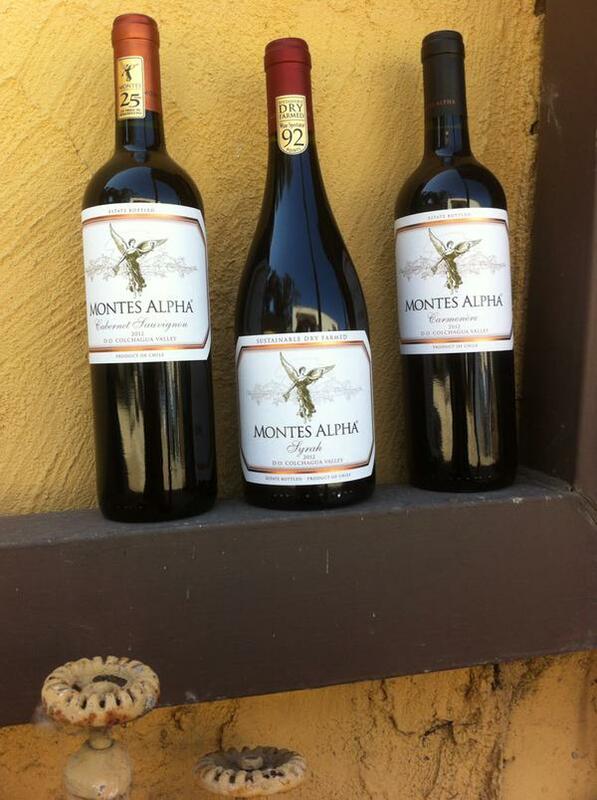 Founded in 1988 in the Colchagua Valley in Chile by Aurelio Montes, Sr. and Douglas Murray with a commitment to sustainable practices in the Vineyard, Winery, and Community, in 2000 Montes Winery began using integrated pest management where, among other techniques, the good bugs eat the bad bugs and a cover crop is sown to support the good bugs and to reduce soil erosion and compaction. In addition, the winery uses organic compost generated at each vineyard. Grapes are harvested manually, and manipulated as little as possible. 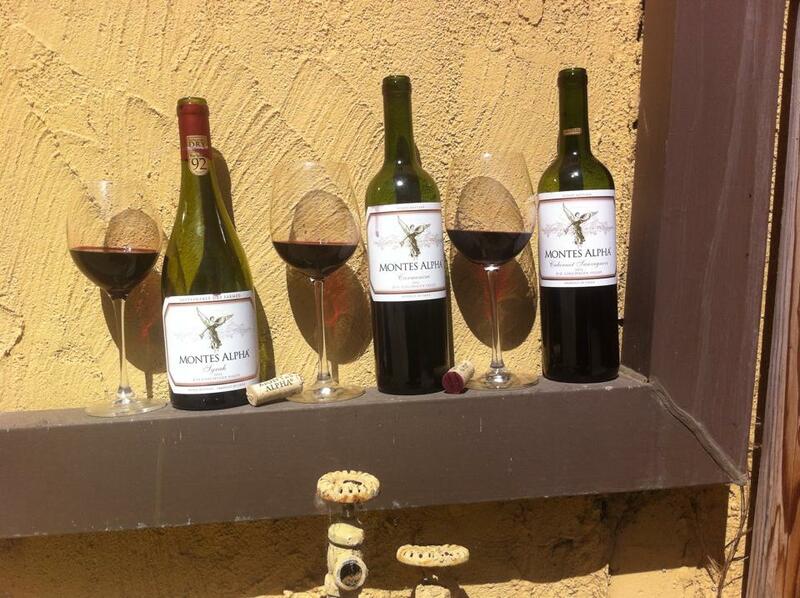 In 2009, Montes Winery began their journey to add dry farming to their sustainability practices by researching their vineyards to determine exactly what the water needs were based on rainfall, soil, and varietals. Dry farming is just that –not using water beyond what nature provides. 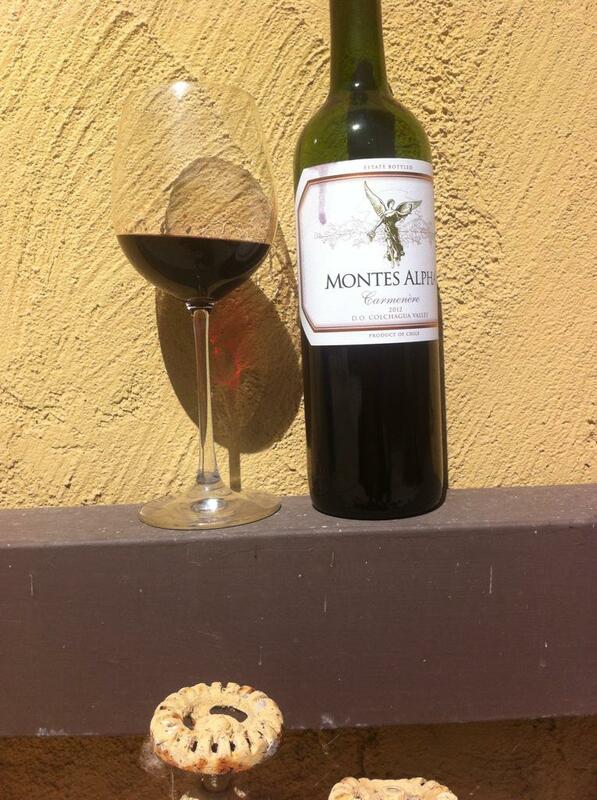 Montes has found that less irrigation results in fewer but better and more concentrated grapes. The winery harvests rainwater in large reservoirs and uses computers to control irrigation to minimize outside water sources dependence plus grey-water is recycled by returning it to the environment, which further decreases its environmental footprint. Not sure about Carmenere? 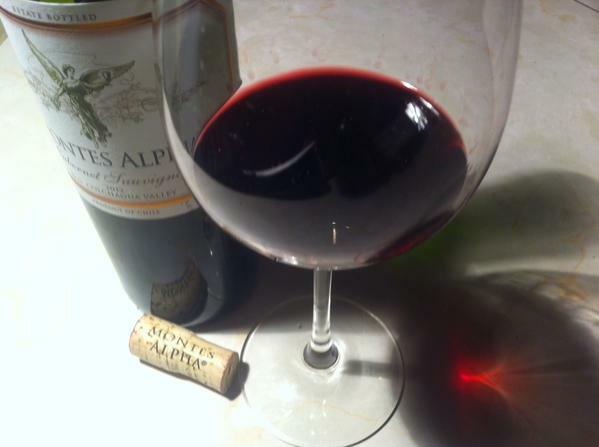 Wikipedia says that Carménère (or Carmenère or Carmenere) was “originally planted in the Médoc region of Bordeaux, France, where it was used to produce deep red wines and occasionally used for blending purposes in the same manner as Petit Verdot.” But then, says Wines of Chile, it “disappeared from European vineyards in the mid-19th century and reappeared among Chile’s Merlot vines a hundred years later.” Considered by many Chile’s signature grape, the purplest of all red grapes requires the long growing season available in Chile. Wines of Chile suggests pairing it with red meats and corn-based dishes, including Chile’s favorite pastel de choclo (corn and meat pie), Indian curry, or a Mexican mole. We found it reminded us of a cabernet franc with vegetal notes on the nose and palate along with plum, cherry, and dark blue fruit; the flavor matches the nose, which doesn’t always happen with a wine. The dense color has beautiful ruby tones. Oak on the nose with a vanilla sweet cherry aroma, nice nose, barnyard, hay and leather and cigar box draws you into this wine which we agreed is a very good deal for the price because it has many characteristics of a high dollar bottle of cab. At first it lays flat in the finish until it has a chance to open up and there’s mocha and dusty cocoa with dried cherries. People who like Cabernet will like this wine because of the plentiful cherry fruit and acidity making it lively on the palate. This would be a great wine to bring to a dinner party–the label is distinctive, the wine has character, and it won’t break your pocketbook. It would work with appetizers or a main course. It’s a people pleaser. We loved this syrah, we’d seek it out, and we’d recommend it. It is easily one of the best Syrahs at that price point that we know about. 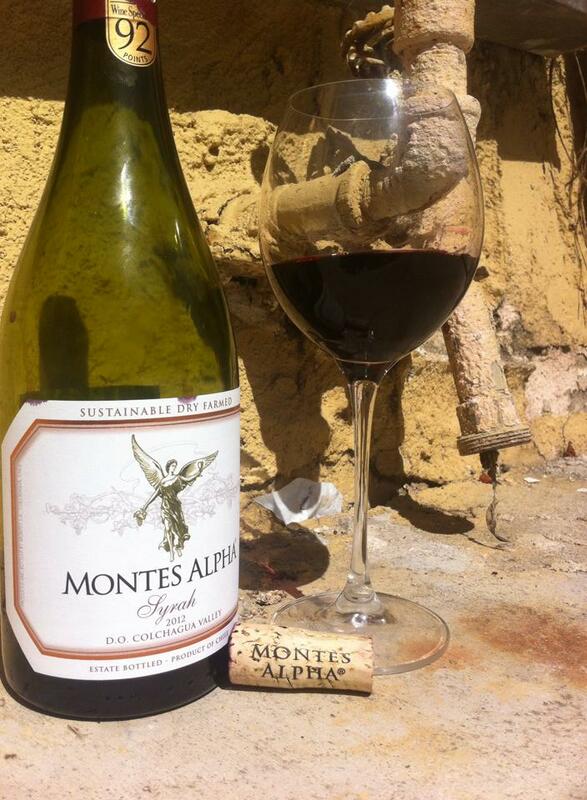 A blend of 90% syrah, 7% cabernet, and 3% viognier, this lovely Syrah hits the mark and is very satisfying. It has a deep rich almost inky purple color that is very attractive and the nose is also very inviting, full of fruit, that you doubt it could taste as wonderful as it smells. But it does! Blue fruit and a bit of pepper, however not as peppery as California Syrah’s can be; it’s more of a southern hemisphere type of a Syrah. The wine is so versatile you could do it by the glass or with food. Nicely balanced, this wine would be good before sunset, during a sunset dinner, or afterward lounging by the fire. It would be great with a pork loin or a light pizza, maybe even a rack of lamb, burger or, says Marshall Moneybags, it would pair well with chicken and waffles. Three great affordable wines that are sustainably produced and dry farmed–just what you need for Earth Month!